Have you ever taken the time to do the math of how much you spend on beauty products? Or does just the thought of it make your bank account tremble?! Looking after yourself doesn’t need to be expensive. 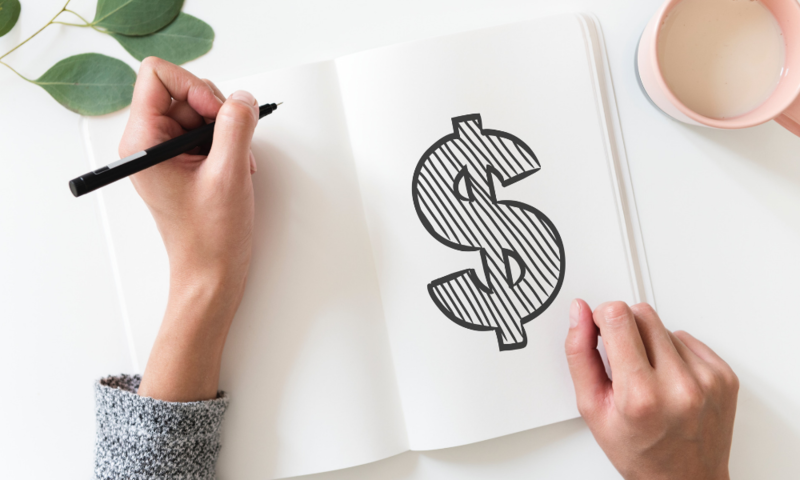 If your 2019 goals included some budgeting resolutions, you might be looking for ways to stretch your beauty dollar further? Here are a few tips to get your money saving started. Using multi-purpose products and adopting a minimalist approach to your skincare is a huge money saver. It’s really not necessary to cover your skin with layers and layers of skin care products every day. In fact, this can actually lead to skin irritation and sensitivity, especially if you are using products with synthetic ingredients. Our nourishing liquid Castile soap will leave your hands, body and hair feeling naturally cleansed and moisturised. Our Unscented Pure Liquid Castile Soap is a great example of a multi-tasking personal care product the whole family can use. Unscented with no additives, chemicals, detergents or thickeners, this soap can be used to wash your hair, face and body. This one product alone does the work of three! That’s a big money saver. Because it’s perfect for sensitive skin, it can even be used on the little ones or those with skin conditions like eczema, psoriasis or itchy skin. In addition to using multi-purpose products, have a think about every single item in your current routine and ask yourself is it absolutely essential? Applying a minimalist mindset to your bathroom cabinet and getting real about what your beauty ‘needs’ vs ‘wants’ can save you hundreds of dollars. The bonus? With less stuff, you enjoy a clutter-free bathroom. I think most of us would agree that isn’t a bad side effect! One of the smartest ways to save money is by making what you already have last longer. This goes for your skincare and beauty products too. Getting the most out of every soap, lotion and cream means your maximising the value for your dollar and curbing waste; something we can all work towards being better at! Store products the right way – They might look nice all on display but many of your products will last longer when they’re stored in dark, cool, dry places away from moisture. 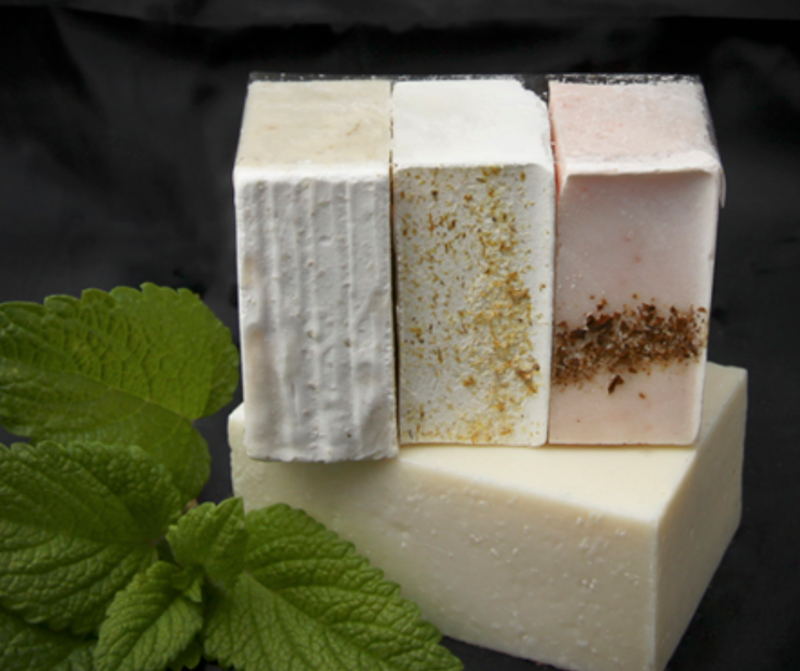 Soap bars, especially natural ones – are a good example. They’ll last much longer when you have them stored on a soap dish that allows moisture to drain away. 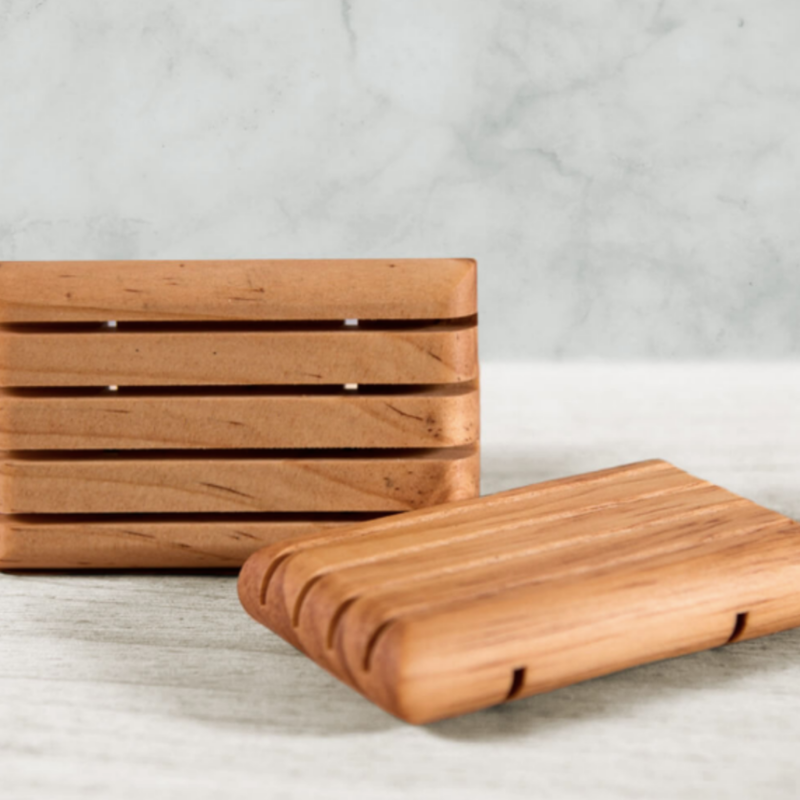 The simple design of our soap dish is the perfect way to get the most out of our long-lasting soaps. Use a loofah or washcloth with your bar soap – Instead of lathering with your hands, give the soap bar a good couple of rubs with a cloth or loofah then put the soap away. You’ll find you’ll use less than washing with your hands. Use clean applicators – Using dirty applicators or fingers when applying makeup or skincare will quickly spread bacteria to the product. This will reduce the shelf life, not to mention you’ll be applying a contaminated product to your skin. Always use clean makeup brushes, spatulas and fingers. Whip up a home-made toner or face scrub and you’ll not only save yourself money, but you’ll also be treating your skin to fresh, toxic free, all natural skincare. I don’t believe that the more complicated (or unpronounceable) ingredients a product has, the more effective it is. Quite the opposite. I believe the best, healthiest skincare actually has few ingredients, and those are natural. Many DIY skincare recipes have only a few ingredients, most of which you’ll likely find in your kitchen pantry or fruit bowl already. You might be surprised to know that some of the most effective natural skincare costs next to nothing; ingredients like apple cider vinegar, oats and honey are certainly much more affordable than expensive lotions and potions. ACV makes a great toner, especially for oily skin. It’s antibacterial, anti-inflammatory and helps to regulate the pH balance of your skin. For dry /normal skin: Mix ⅓ part ACV to ⅔ part filtered water. For oily / combination skin: Mix 1/2 part ACV and 1/2 part filtered water. Store in a glass bottle and apply the toner daily with a cotton pad. Oats gently exfoliate while soothing the skin and the inclusion of a little honey adds moisturising and anti-bacterial properties. 1 teaspoon of honey and 1 tablespoon of oat flour or oatmeal blitzed in a blender. The finer the oatmeal, the more gentle the exfoliation. **If blending the oatmeal yourself, use 1 cup of regular oatmeal and store it as needed. Mix the oatmeal with enough water to form a bit of a paste and then add the honey. Gently massage the mixture into your skin for a few minutes. Rinse with warm water and follow with your usual moisturiser. Our Traveller Pack allows you to sample 3 of our hand soap range. How many times have you purchased a new product only to find it didn’t really work for you or caused irritation? Throwing out or giving the rest of the product away isn’t money well spent. Instead, try a sample first. You can ask for a free sample or even buy a small sample pack. It’s a much more economical way to figure out if the product works for you. I’m not one for advocating cluttering up your inbox with a million email subscriptions but it’s definitely worth subscribing to the email lists of a select few of your favourite brands. You’ll receive alerts to sales, often only exclusively available to those who have subscribed. Over time, those savings can really add up. Most online stores will offer a discount for your first purchase too….and here’s a good chance for a little self-promotion, we offer 10% off your first Olive & Ash purchase when you join our mailing list! How do you save money on beauty and skincare? I’d love to hear your tips!